Born in the picturesque county of Norfolk, this fabulous nature artist draws inspiration from the surroundings fields and hedgerows, full of countryside critters ready to sit for her masterpieces. 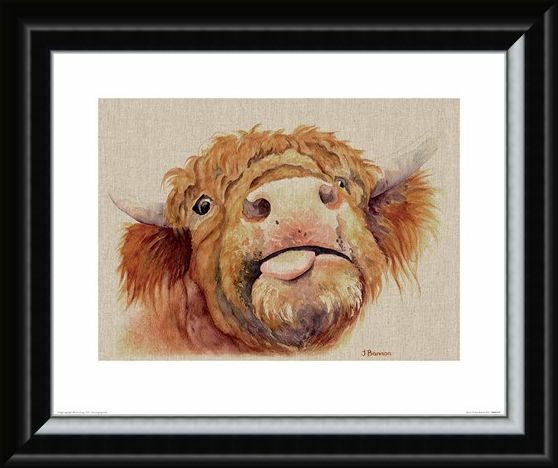 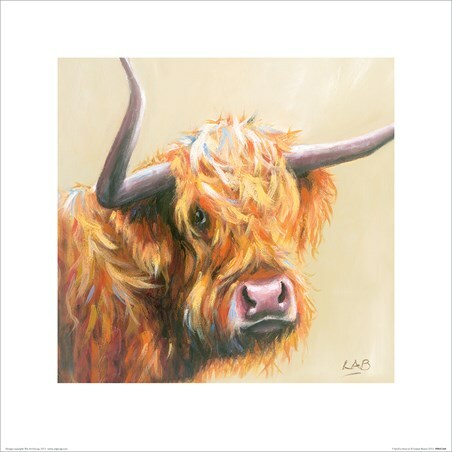 Say a big hello to the comical highland cow, Baxter! 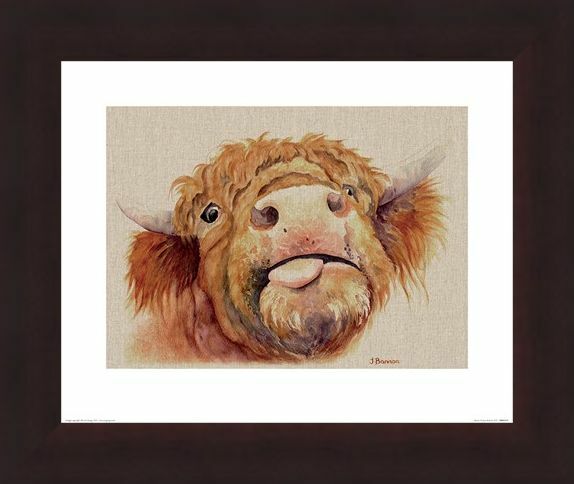 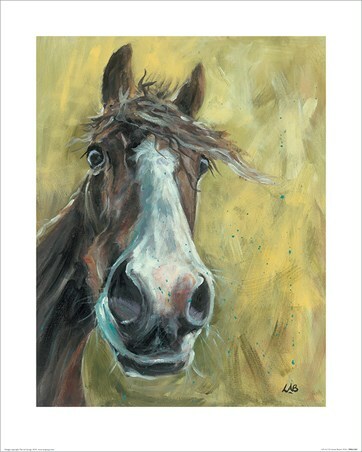 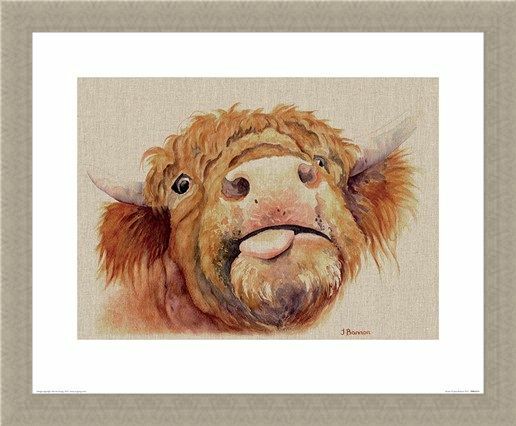 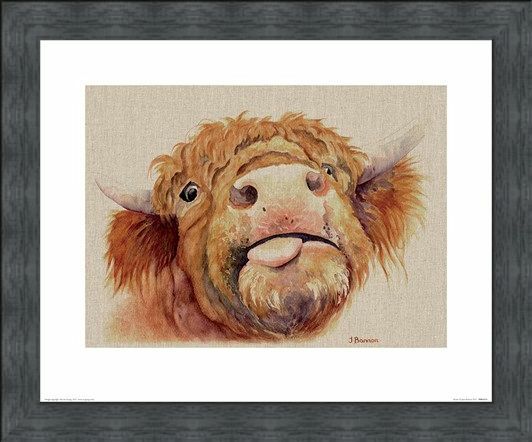 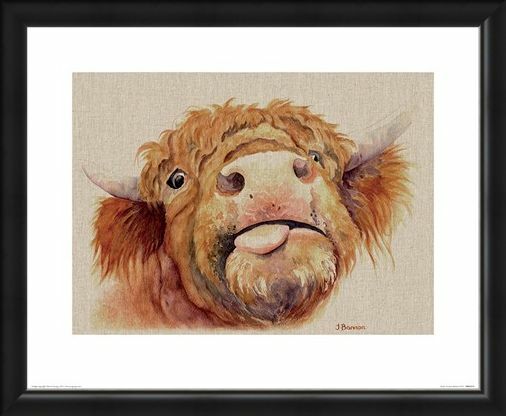 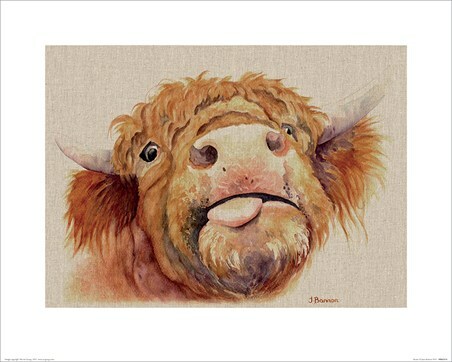 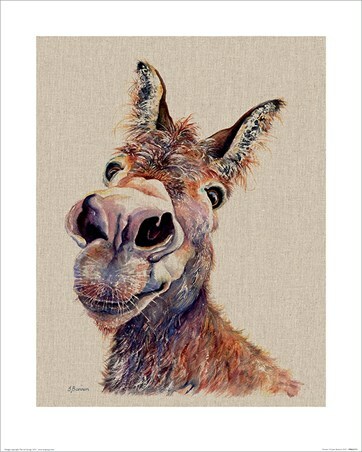 With tongue lolling from the side of his mouth and bright eyes peering through a shaggy mane, this inquisitive character from Jane Bannon is just the print for any home in need some of light hearted, creature comedy. High quality, framed Baxter, Jane Bannon mini print with a bespoke frame by our custom framing service.